So you have a great business idea, and you’re confident that it’s going to be truly revolutionary. Your incredible innovation could make you the next Mark Zuckerberg or Jeff Bezos! You’re just lacking one thing: funding. Or business expertise. Or maybe you just have no idea what to do next. Luckily, there are lots of available solutions for your fledgling startup. There are thousands of incubators, seed accelerators, hybrid accelerators/incubators, angel investors, and venture capitalists just waiting to help you develop the next great idea. They do this by offering education, mentorship, business services, and technical support. In the process, these people and organizations also make themselves rich. But how do you know which option is best for your startup? Here at Pitch Deck Fire, we’ve created pitch decks and provided coaching for entrepreneurs seeking support from each of these categories. Each pitch requires a different approach, because these options vary greatly in the way they fund, the business ideas they support, and how they select and help startups. Based on our experience, we created this reference guide below to help you navigate the world of startup assistance. As this graphic indicates, not every startup is ideal for every option. Here are a few of the biggest considerations which will help you determine which is the best fit for you. Are you willing to temporarily relocate? Most incubators, accelerators, and hybrids are conducted on-site for the duration of the program, which could be a couple of months to several years. This is no problem if you live within commuting distance of the campus or facility. Most incubators are tied with the community in which they are located, and, fortunately, most medium-to-large cities have some sort of incubator program available to local entrepreneurs. Accelerators, however, are often held or based in an area that is a “hub” for their particular industry. Medical device accelerator Zero to 510’s home base of Memphis, Tennessee is considered a “hub for medical device and logistics companies.” Many tech accelerators, like Y Combinator and 500 Startups are based in Silicon Valley which, like Boston and New York, are considered technology startup hubs. In fact, these three regions are home base for 40 percent of accelerators. In addition to a “mostly-virtual” accelerator program, TechStars, one of the leading startup accelerators, sponsors more than 40 distinct accelerators in various industries and in locations across the globe. TechStars requires founders to relocate to the respective compound for the full three months to reap the most benefits from the program, including “serendipity, unannounced-drop-in mentors, and camaraderie” in addition to more structured learning, networking and coaching opportunities. Coplex doesn’t have a relocation requirement. However, the program strongly recommends being physically close to the organization and spending two to three days onsite, to more easily take advantage of sessions, events, and meetings with mentors. Because relocation or onsite requirements vary widely for accelerators, it’s well worth your time to not only investigate your options, but to discuss them with your fellow founders, family, and employer, if applicable. What level of mentorship or business support do you need…or want? Let’s face it. Not everyone responds well to criticism, even the constructive type. If you turn to an accelerator, angel investor, or venture capitalist, though, constructive criticism is exactly what you should expect to get–in the form of mentorship. The show Shark Tank has several great example of what type of feedback you can expect to receive when working closely with an investor or mentor. After the smiling, joking, and interplay during the entrepreneur’s introductory pitch, the atmosphere turns very serious, very quickly. The “Sharks” are great examples of what investors are looking for and what they want. From wanting to know the why behind the idea to the real financial numbers and current traction, the Sharks are working toward a valuation of the company based on its potential with customers in light of all the risks in the industry their new product might face. After all that, they consider the pros and cons of investing in the idea. If they decide not to invest, they rarely hold back in sharing their reasons. Of course, your real-life experience shouldn’t–and will likely not–play out as a well-scripted, condensed television episode. All the ideas that make it onto Shark Tank are pre-vetted prior to filming. You can guess the reason: the investors’ time is valuable, and they only want to be focused on the most promising ideas. Being selected to go on the show is a huge step forward and the production company knows it–they take 5% of any company who goes on the show. And the numbers don’t lie. People who showcase products on Shark Tank go on to exceed previous sales records, even in the absence of getting a shark on board. The Sharks are great mentors for the companies they invest in, and there is a great opportunity to seek similar relationships with your investors, no matter which avenue you choose. Venture capitalists, angel investors, and most accelerators will hold a significant monetary and reputational stake in the ideas they invest in, and are depending heavily upon your success. Plus, they are most likely the experts in their (and your) field, meaning they have a very good idea of what will work and what won’t. Ironically, our best advice for you is to take their advice, even if it’s difficult for you to accept. But if you’re the type of person who reacts negatively to feedback or advice, perhaps this is not the avenue you should pursue. There is a caveat to accepting mentors’ advice, however. An investor in Kansas City, Missouri, accelerator BetaBlox, told Inc. magazine that his organization wants founders to be coachable, but not “so overeager that you’ll do what any mentor says.” Viewing your mentor as a coach is a great approach to the mentor-founder relationship. Winning football coaches, for example, may curse, scream, and even wildly gesture at their players during practice and games, but rarely do you see a player refuse to execute every play that coach orders. Incubators, unlike the other startup options, are designed to support startups mainly through concrete resources like shared office space, access to technology, and services like human resources or marketing, and little to no personal mentorship. An incubator program might be a good option if you prefer to grow your business on your own, with minimal advice from outside sources. A hybrid incubator/accelerator program could also help you ease into the idea of exploring mentorship. Are you prepared to prepare? Entering a pitch competition, approaching an investor, or even completing an online application for a startup program isn’t something you do with little to no preparation, no matter how confident in or knowledgeable you are about your idea. It takes weeks, even months, to perfect your pitch or application, and you must be committed to the process to have any hope of being considered. Thankfully, many accelerators include application tips in their FAQs or Help sections that you should definitely study before beginning your application process. TechStars currently offers 11 links to videos, articles, and blogs to help you understand what to do to get into their program. Boston-based MassChallenge includes real-world application tips from program graduates. And Dreamit Ventures recommends reading this blog detailing the various application #fails they’ve seen since founding in 2008, including the #EpicNovelFail, #MasterOfTheObviousFail, and the #PoorAttentionToDetailFail. Think about that. These programs want you to succeed so much, they are willing to help you improve your odds by giving you a cheat sheet! There is no reason not to do this research. So once you’ve decided on an accelerator to apply to, do your homework. Google the heck out of “[accelerator name] application” and review as much material as you can about the application and the graduates of the program. Often these founders will share tips and tricks on their respective blogs or sites. Preparing a pitch deck for a pitch competition or for presentation to a potential angel investor or venture capitalist is just as important as preparing for an application.  In fact, most applications actually ask for a slide or pitch deck within the application itself, and most accelerators conclude with a “Demo Day” where you pitch your startup to investors. So a pitch deck is something all applicants or fundraisers should carefully create. Like an online application, your pitch deck must be concise and persuasive. It must clearly communicate what makes your startup worthy of investment. Both an application and a pitch deck will require a short summary of your idea (the “elevator pitch”), concrete reasons why you think your idea will succeed, what problem your startup will solve, and any financials that will help build your case. When personally pitching your idea, you need to exude confidence without seeming cocky, arm yourself with knowledgeable answers to any question and investor may ask, and rehearse, rehearse, rehearse. Did we say rehearse? You might even choose to invest in a pitch coach or professional pitch deck creation services. Obviously, entering into a relationship with an accelerator, incubator, or other startup program requires a lot of consideration, soul-searching, and preparation. Keep in mind that within each of these options are hundreds or thousands of opportunities. We identified nearly 400 seed accelerator programs in the US and Canada alone! Each one will have specific requirements, perhaps much different than the most common ones we’ve described here. Stay focused on the “what’s in it for me” behind the investment vehicle, and your company. Matching the value on both sides helps to ensure your application is clear with regard to your message, value, and potential. We hope you’ll find our additional resources helpful, and we look forward to hearing about your funding journey in the comments below.